The Black Edition is made of the highest quality steel. The ultra black-coating on the plates ensures optimal corrosion protection. The long term wear resistance of pins is achieved through a unique XHB hardening. 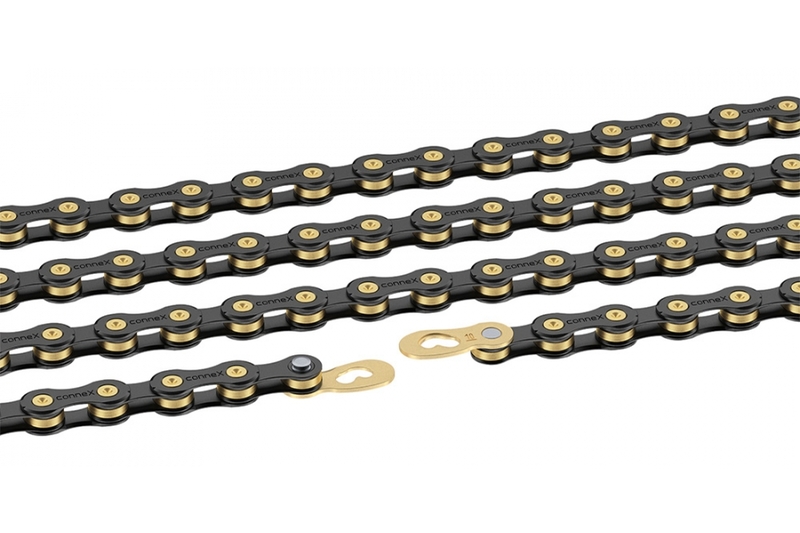 Its long service life and precise gear-changing properties make this chain invincible. Compatible with all 10-Speed drivetrains. So far I love this chain! I am a bigger guy 255 lbs and I have broken 3 Shimano chains and 1 kmc. I have one 25 mile ride at demo forest on it and couldn't ask for anything else with it. I would recommend it to anyone plus the black and good looks great too.